EditComm is a fully integrated windows based CNC text editor with comms and machinist aids including Imperial to Metric conversions, Trig calculation, Expanded code generation for Deep Hole Drilling and PCD hole drilling and much more. Use EditComm as part of your arsenal of CNC programming tools. Experienced programmers know that different types of jobs require different methods for the most efficient programs. Sometimes it's your full blown CAD/CAM, sometimes MDI, and sometimes it's an editor on your PC or a combination. Most basic programming can be done faster and easier just by writing the Gcode. EditComm makes that even easier. EditComm is a great tool for tidying up your CAD/CAM or MDI generated programs. And if you can't yet justify the cost of CAD/CAM, you'll find EditComm a great tool for writing Gcode programs from scratch. Les Robbins, has been in the Machine Tool industry for over 40 years, it must be said that he is very aware of the requirements of CNC machine tool operators, due to a background of knowledge and experience gained over this period. Having started his working career in 1970 at T.S. Harrison & Sons Ltd as a craft engineering apprentice, he went on to higher technical training backed by years of experience within the field of electrical and electronic engineering relating specifically to machine tools. Both in the production of machinery and later in the service department he had spent 34 years in the industry before starting his own company in 2004. Based on the experience gained during all this time and as a result of 24 years using a succession of ever more advanced personal computers to aid his work, Les naturally progressed to writing machine tool related software. EditComm came into existence through this and due to the problems Les was called out to deal with involving other Editing & Communications software linked to CNC machines. You will soon see what benefits EditComm holds for you. Just take the time to download it for a free trial on your PC. 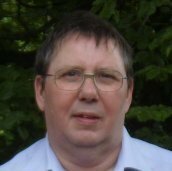 On the service front, Les is a very experienced engineer specialising in the repair of Harrison & Colchester CNC lathes. Based near Leeds in the north of England. Clicking on the button below will allow you to download the free evaluation version of the following software. EditComm version 3.0.5 - Full version - issued 29th April 2011 (Windows 7 compatible) Re-issued 19th December 2011 owing to vecad52.dll not installing correctly. Email lesrobbins1955@gmail.com now delivered direct to my mobile phone. If you have any questions or comments to make please use the form below. EditComm is the perfect communications program for transfering programs to and from cnc machines. It is very simple to send and receive programs. We have used it for over 5 years it has been completely trouble free. Programs can be named exactly how you want them so are easy to find. I would say it has saved us its very low cost many many times over. I would recommend this software without reserve. We have been using EditComm in our machine shop since 2004 with a variety of CNC machines for both creating/editing programs and program storage. It is easy to configure and use and the editor has a number of useful tools and calculators. Support, on the few occasions needed, has always been excellent. Many thanks for a first class product. EditComm is invaluable, one can write programmes away from the machine, then store and access them quickly, and it costs almost nothing ! Editcomm is a great package, simple to use even for dinosaurs like me! Backup service provided by Les is second to none. I would recommend Les and his product to anyone. (Fanuc, Heidenhain, Anilam and Siemens). We find EditComm very easy to use and user friendly, we have yet to have any problems with it. Give it a try.